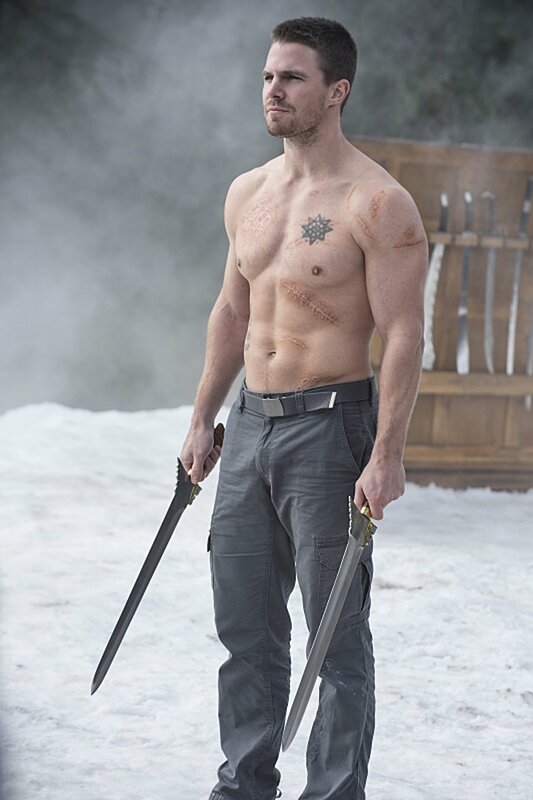 Mild spoilers for next week’s episode of Arrow ahead. 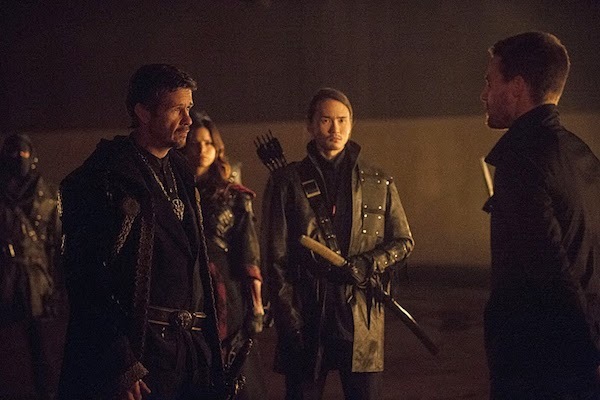 Oliver may be joining forces with The Flash tonight on Arrow to take down Digger Harkness, but next week he’ll face his toughest challenge yet this season when he comes face-to-face with Ra’s al Ghul. 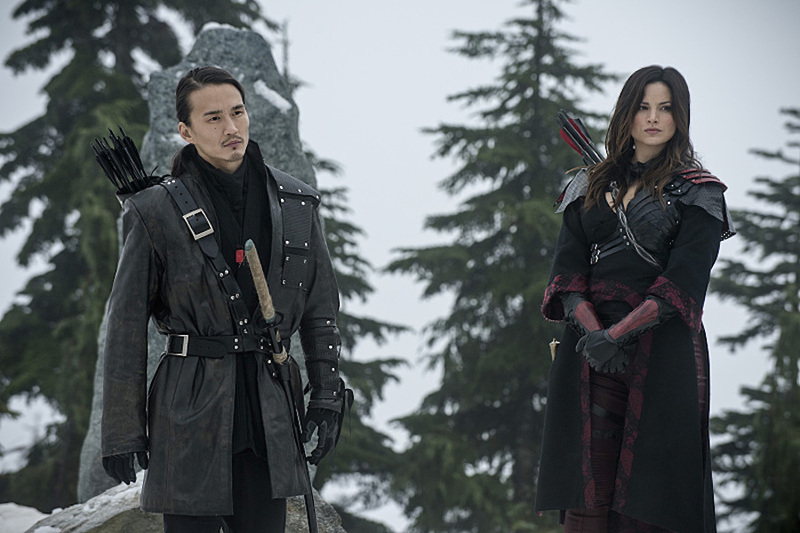 This will be the first full episode featuring the legendary villain, who was introduced earlier this season in “The Magician” and has been frequently mentioned since Season 2. 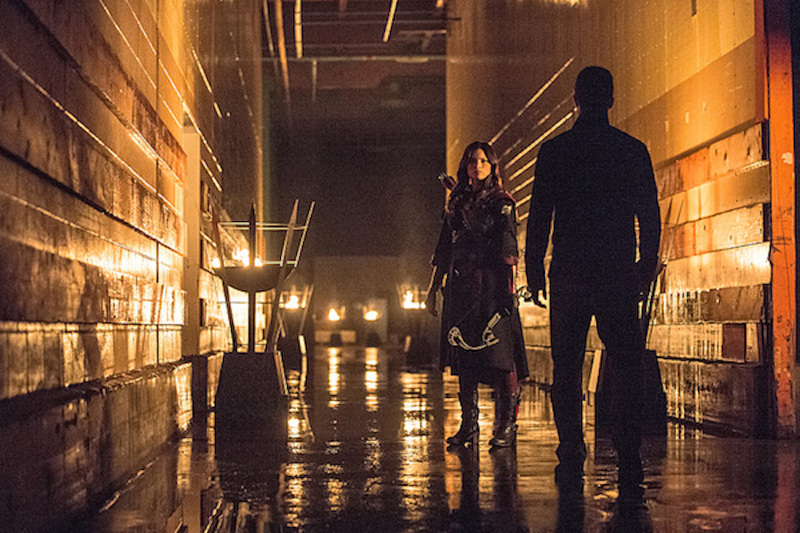 A battle between Starling City’s archer and the leader of the League of Assassins has been teased for weeks, and we now have our first look at this and more with official images from the midseason finale. 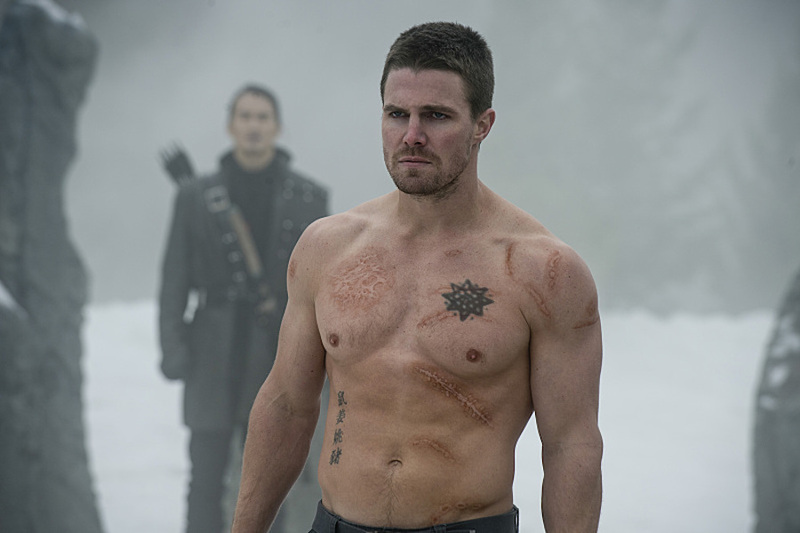 Spoiler alert: there’s a significant lack of shirts. 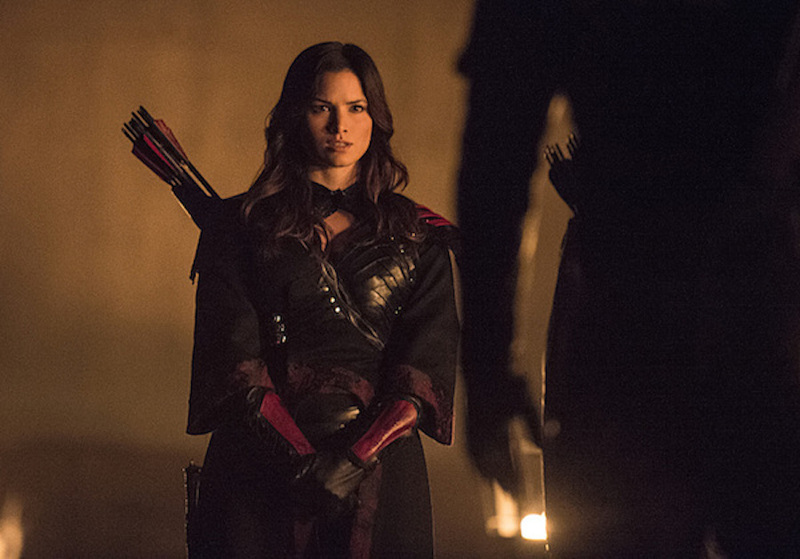 In next week’s episode, Oliver will receive an ultimatum from Ra’s al Ghul delivered by Nyssa: find Sara’s killer within 48 hours or the League of Assassins will start killing Starling City citizens. 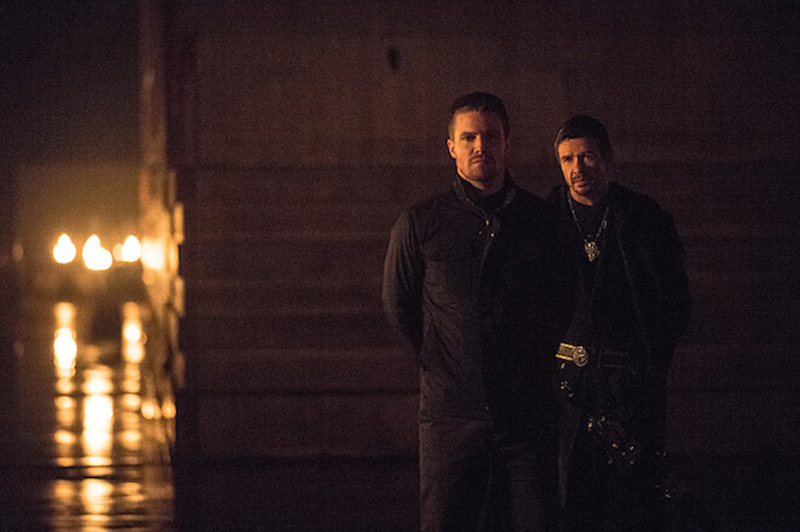 Since Team Arrow hasn’t had any luck on that front, Oliver will likely head to Nanda Parbat to strike a truce with the League. Needless to say, it probably won’t go well. 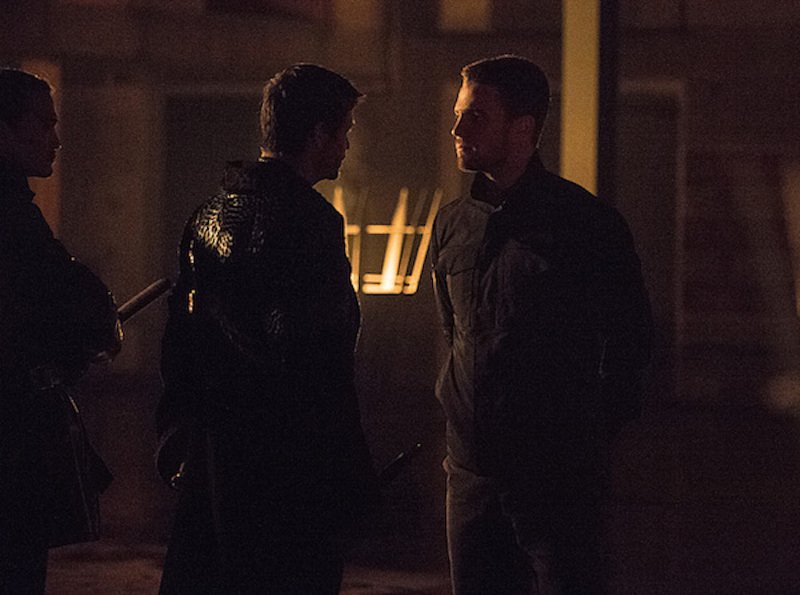 Oliver made an enemy out of the League of Assassins when he refused to kill Malcolm Merlyn. 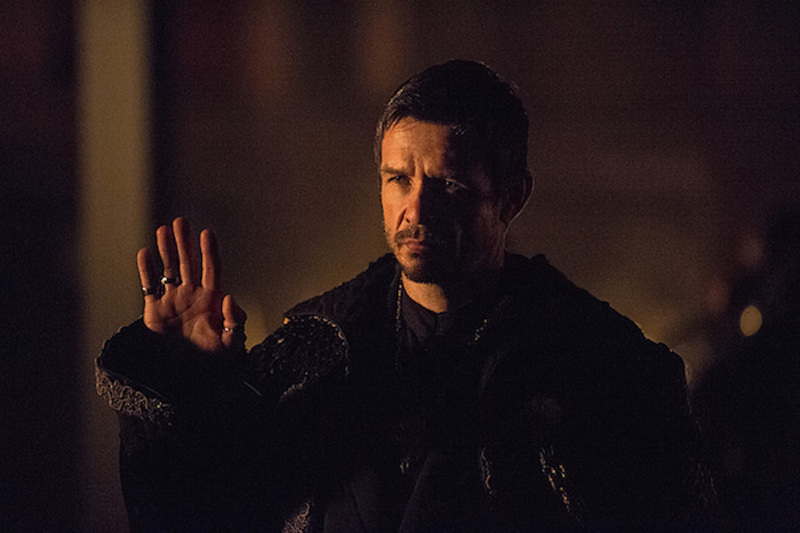 While Ra’s couldn’t care less about Sara’s death, he does want Merlyn to pay for his crimes, and since Oliver is “protecting” him, Ra’s holds him responsible. How do you resolve a problem like this? Easy. Battle each other in the snow! 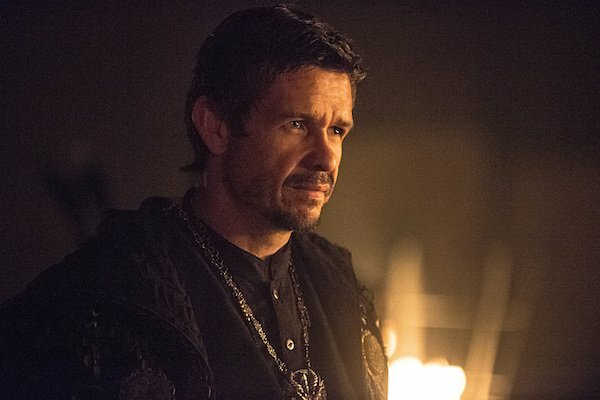 It appears that Arrow’s Ra’s al Ghul has something in common with Batman Begins’ Ra’s al Ghul: they both like to sword fight in extremely cold temperatures. 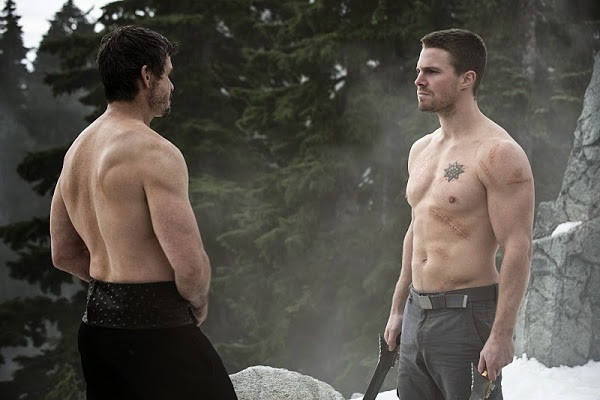 As for why their shirts are off, the official explanation will probably involve some “ancient tradition.” But let’s not kid ourselves, the Arrow team probably did this just to show off Stephen Amell and Matt Nable’s physiques…and there’s absolutely nothing wrong with that. 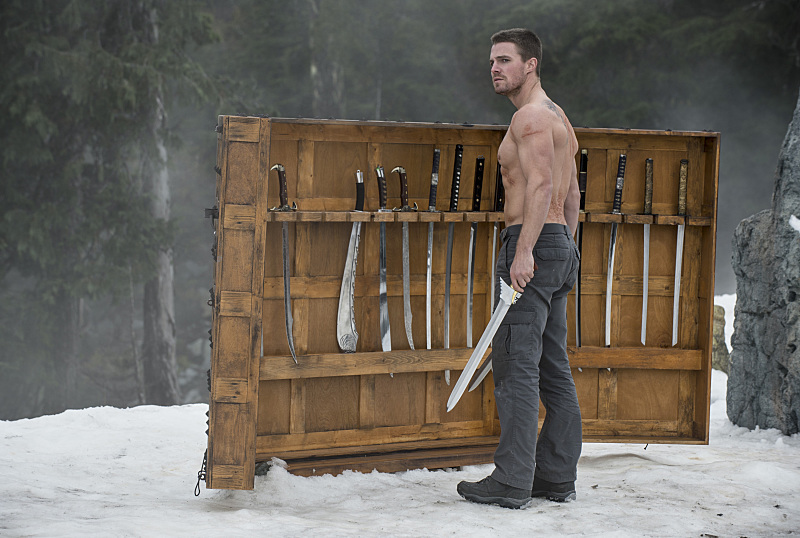 Oliver is adept at fighting and using a bow and arrow, but swords don’t seem to be an area of expertise. 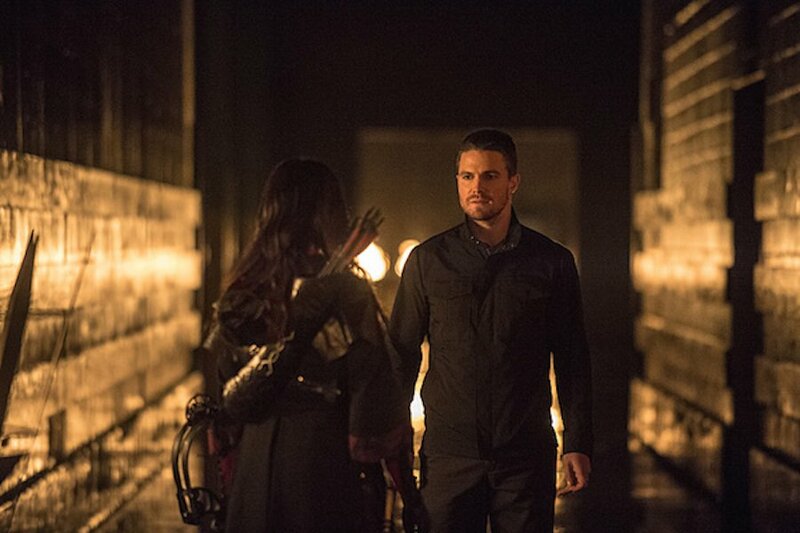 Like his first battle with the Dark Archer in Season 1, Oliver’s probably going to get beaten within an inch of his life. Whether this Ra’s is centuries-old relic or just a skilled warrior, he has both the skills and the home field advantage. 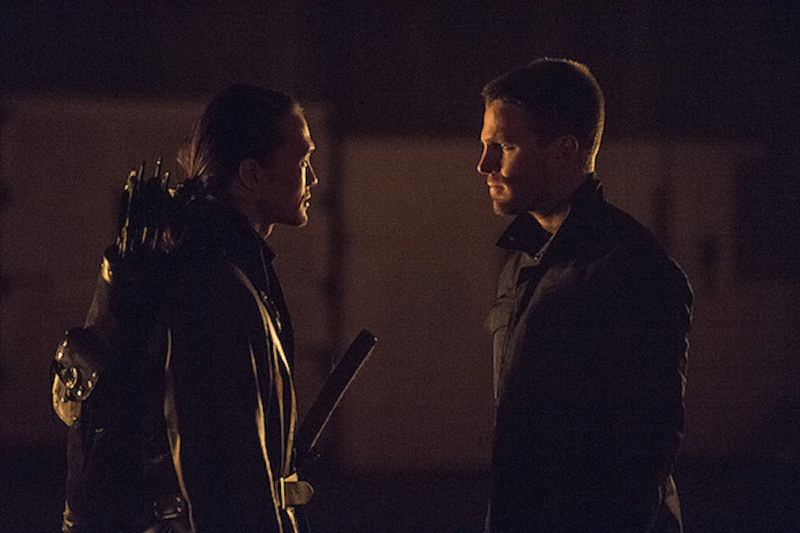 However, while a sword fight between Oliver and Ra’s is cool, the biggest revelation from these images is that one of the League's current members is someone from Oliver’s past: Maseo Yamashiro, his handler from the Hong Kong flashbacks. In five years, he’s gone from an agent of A.R.G.U.S. 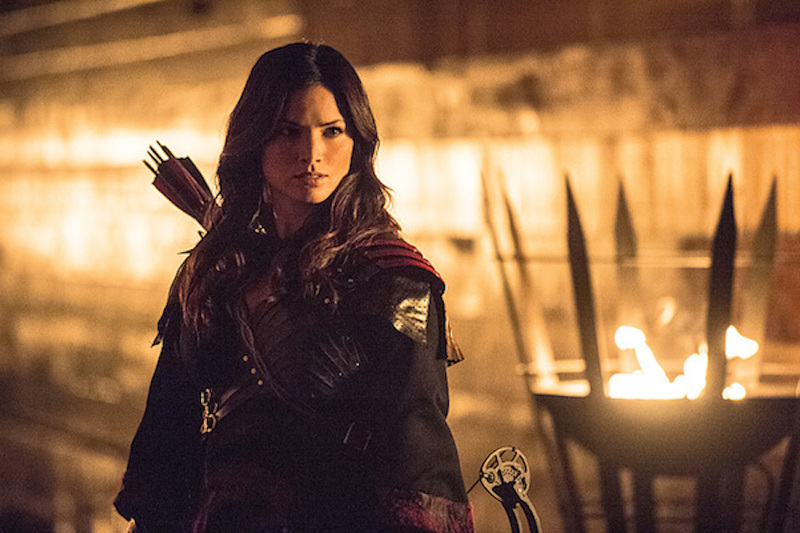 to an assassin in Nanda Parbat. 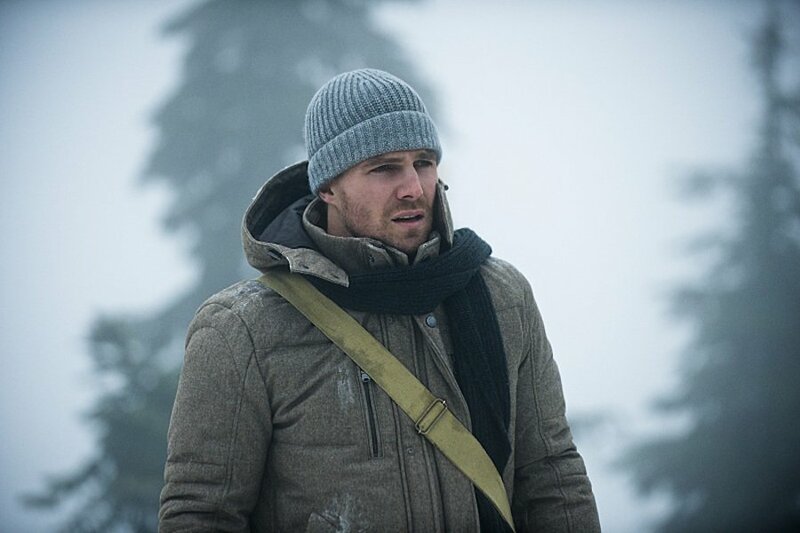 Much like how Season 2 elaborated on Slade Wilson’s hatred for Oliver (and how he lost his eye), the Season 3 flashbacks will likely explain what happened to Maseo that led him down this path, as well as where Tatsu and his son are. 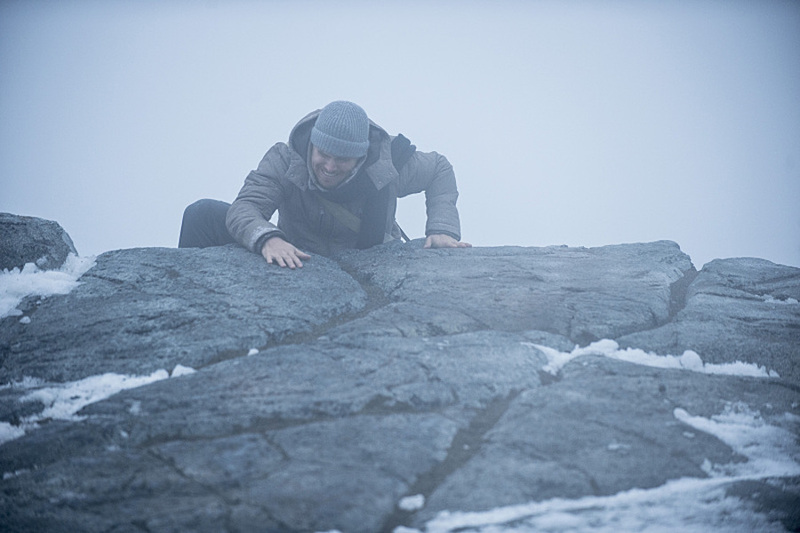 Check out the gallery below for more images from next Wednesday’s episode “The Climb,” which you can can watch on the CW at 8 p.m. EST.